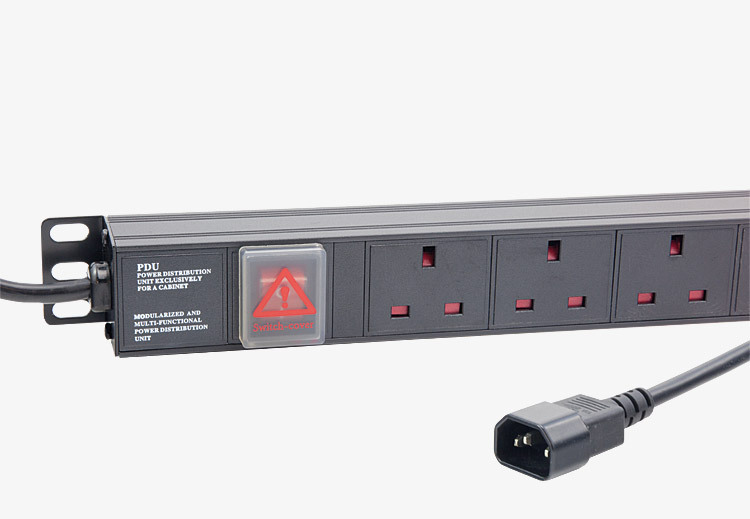 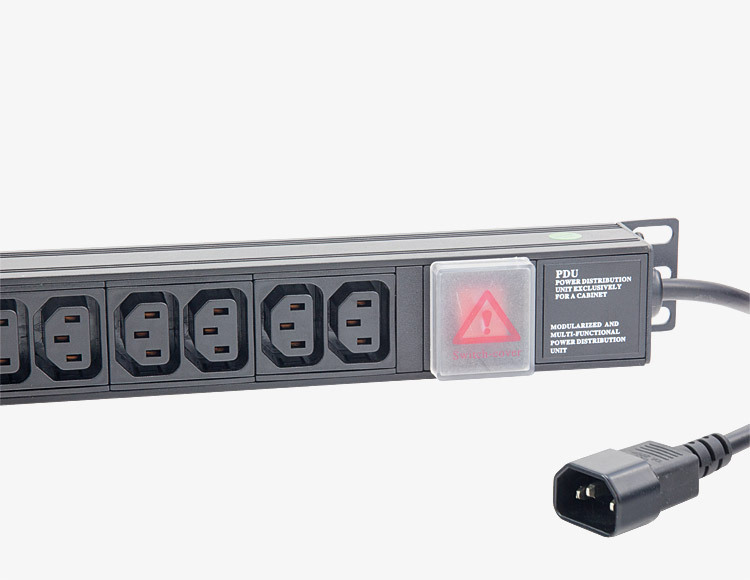 A range of rackmount power distribution units available with a variety of connector types. 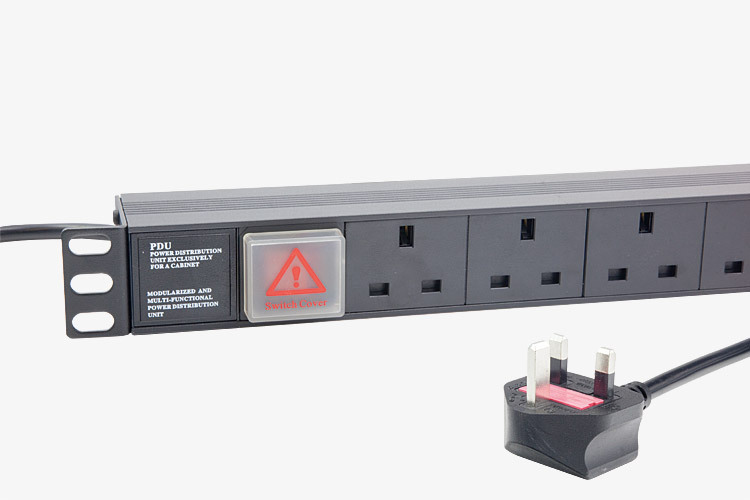 All units have extruded aluminium housing, and are finished in black. 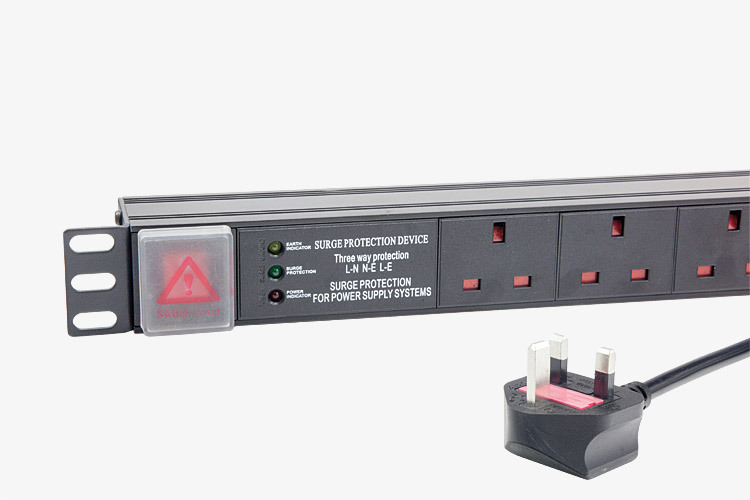 All types have a shrouded, neon rocker-switch, complete with cover, rear earth-stud, and attached 1.8 metre input cable terminated with an IEC14 or 3-pin UK plug. The UK terminated models are protected with a 13A fuse; IEC models are not fused and intended for connection to a fused UPS. 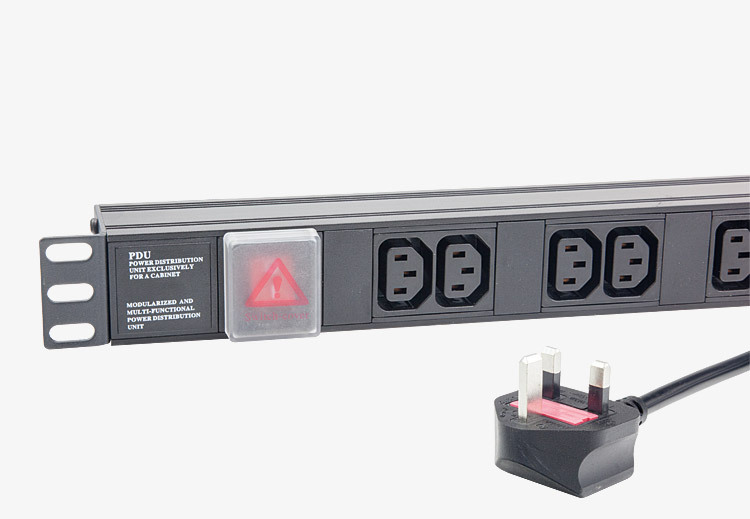 Case depth is 46mm for all types.